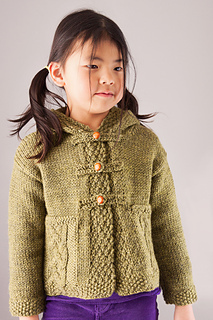 This sweater is the perfect jacket for splashing in puddles or exploring the woods. 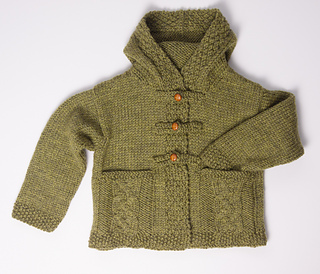 With toggle buttons and a tweedy yarn, it definitely has an old-fashioned feel. 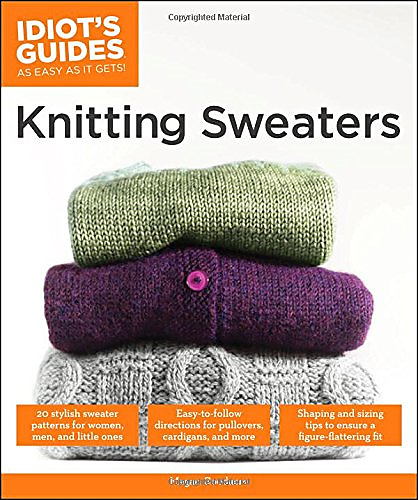 Richly textured cables, a cozy hood, button toggles, and knit-in pockets—you’ll love knitting this as much as they’ll love wearing it. 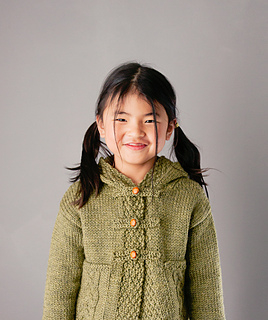 This sweater is worked flat in five pieces and then sewed together at the shoulders, sides, and underarms. 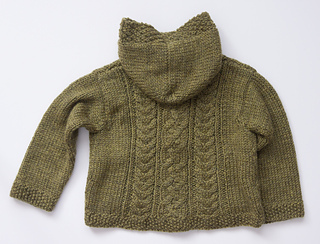 The knit cables run the length of the center back; cabled pocket fronts and front bands are knit with the fronts; and the pocket linings, pocket edges, and hood are picked up and knit. 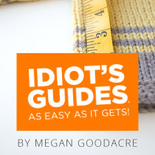 For smoothly shaped shoulder, neck, and underarm edges, use sloped bind (cast) off.